Getting into the bagel franchise is exciting and fun, but like with any new business venture, you need to do a lot of research and planning before you make the big leap. Here are 8 things you should know when investing in a bagel franchise. If you are on the fence about whether a bagel franchise is the right path for you, consider how much in demand bagels always are. When opening a new business, you want to sell a product that people crave, that they get excited about. That is why a bagel franchise is so perfect. Bagels are a popular breakfast food, especially for people on the go, which is pretty much everyone these days. And there is a lot of room for creativity with a bagel franchise too. There are a lot of different flavors and toppings you can have fun with and cool campaigns and contests you can hold to build up your customer base. Because bagel franchises are generally more affordable than other types of franchises that can run you into the millions, owning a bagel shop is more accessible to a lot more people. You just need to come up with a solid bagel business plan. Another reason bagel franchises are so successful is that you have a strong franchise system and network to support you. 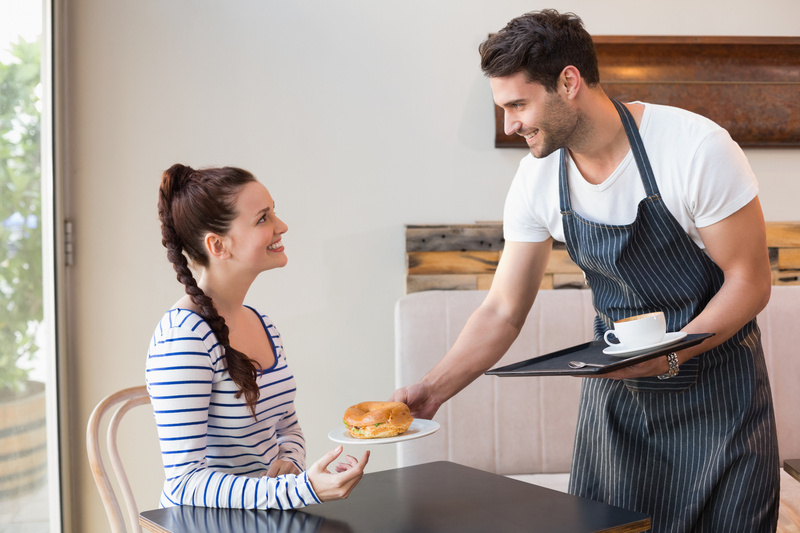 While each individual franchise will vary a little in how much support they give you, all bagel franchises offer you training and an infrastructure to help you run your business. This is especially important if you have never owned a business before. From selecting your location to getting the shop up and running to helping with advertising campaigns and marketing, the franchiser offers you valuable resources. Because bagel franchises are generally more affordable than other types of franchise and need less bagel making equipment and space, as an bagel franchisee, it will be a lot easier for you to buy and open multi-units which will even further secure your place in the bagel industry. The cost of bagels themselves are not expensive so staying stocked on all your food and ingredients won’t be difficult either. Customers are more likely choose to take their business to a brand they know and trust. That is why it is so important for you to join a franchise program that is already well-known and well-loved. While there are a lot of benefits to being a part of a franchise program, it isn’t right for everybody. If you prefer to have total creative control and don’t like having a lot of rules to follow then you might be better off starting a bagel shop from scratch. One of the biggest reasons a new business fails in the first year is because the owner didn’t have enough money to keep the business afloat until the money starts rolling in. The first 6 months are always the toughest as you cultivate customer relationships and smooth out any bumps in your processes. It is crucial for you to estimate the right amount money you need to have saved before you sign any papers. Most people opening a bagel shop whether an independent one or a bagel shop franchise are going to need a bank loan to get their business up and running. Today it is a lot harder to get a bank loan than it used to be, but luckily when you are backed by a proven successful brand and an experienced franchisor, you are considered a more attractive candidate. And most likely your franchisor already has a long-standing relationship with a banker that you can benefit from. Are you intrigued by the idea of owning a bagel shop franchise? Next, you should create a list of what you are looking for in a brand. Besides missions and values that you can get behind, you should also look for a strong support structure and a robust training program that will help you grow your franchise. Especially if you are new to the business, having experts on your side can be a real boon. Also keep in mind that is you want to run more of a specialty bagel shop, for instance one that concentrates on organic or vegan options, then you need to specifically look for those types of bagel franchising opportunities. Shmagel’s Bagels is a popular bagel shop franchise that is growing in popularity and has bagel franchises for sale. Right now they have two locations in Ocean City, Maryland. Shmagel’s is known for their fresh bagel creations baked daily, including Bagelninis which are bagels flipped inside-out and pressed. For more information about investing in a bagel shop franchise and what makes Shmagel’s Bagels a smart investment, call us or send us a message at Shmagel’s Bagels today.